KSSM Recruitment 2018: Kerala Social Security Mission has issued official notification for 17 vacancies of Data Entry Operator (DEO). Eligible and skilled candidates can send the Kerala Social Security Mission Jobs 2018 application form online from the official website arogyakeralam.gov.in. Interested candidates can apply online for KSSM Data Entry Operator (DEO) 2018 for the last date of 16.11.2018. Candidates can download official notifications from the official website before applying for this vacancy. 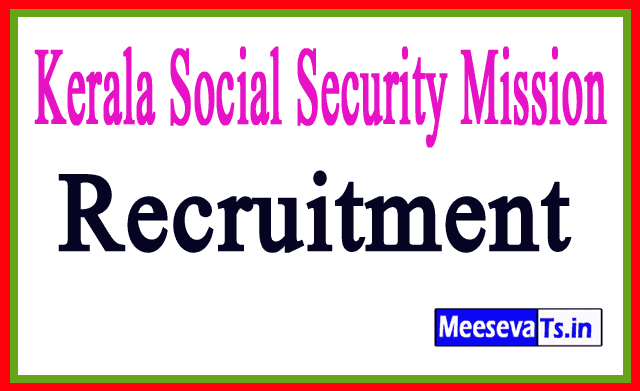 For more information about the recruitment of Kerala Social Security Mission, the qualification details like eligibility details like education qualification, age limit, selection process, application fee and how to apply, important links, courses, admission letter, results, past papers, etc. Have been given. Look around for "KSSM recruitment 2018" for the data entry operator (DEO) posts.